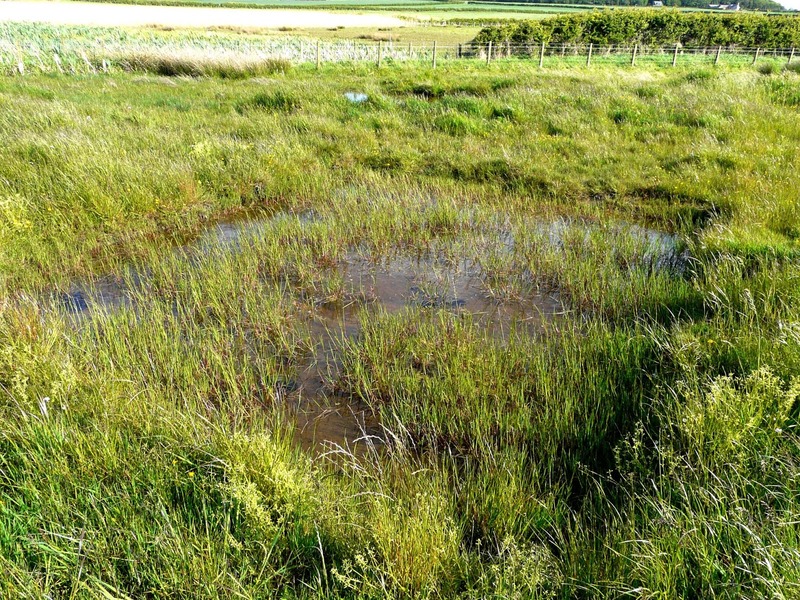 Blakemoor Farm’s new field corner ponds are doing nicely. The freshly hatched tadpoles of a couple of weeks ago (see 3rd April) are now plump and assertive. They are also playing statistical games. 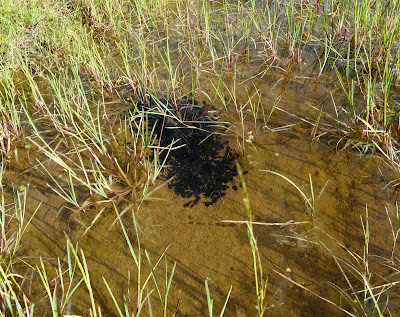 In one of the ponds all the tadpoles are squirming together in a dense black swarm. In the next door pond they litter the sediment, scattered with a pleasing eye for complete coverage. In a third pond there are none. Statistics are not what inspires many people’s interest in natural history, although I know of mathematicians who have been lured into ecology on the grounds that it is much more challenging. Statistics have their uses though, especially to summarise and test observations. 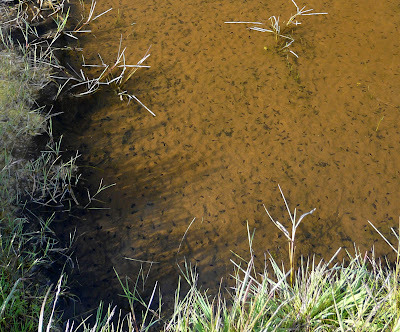 The trouble is when nature plays fast and loose like these tadpoles. 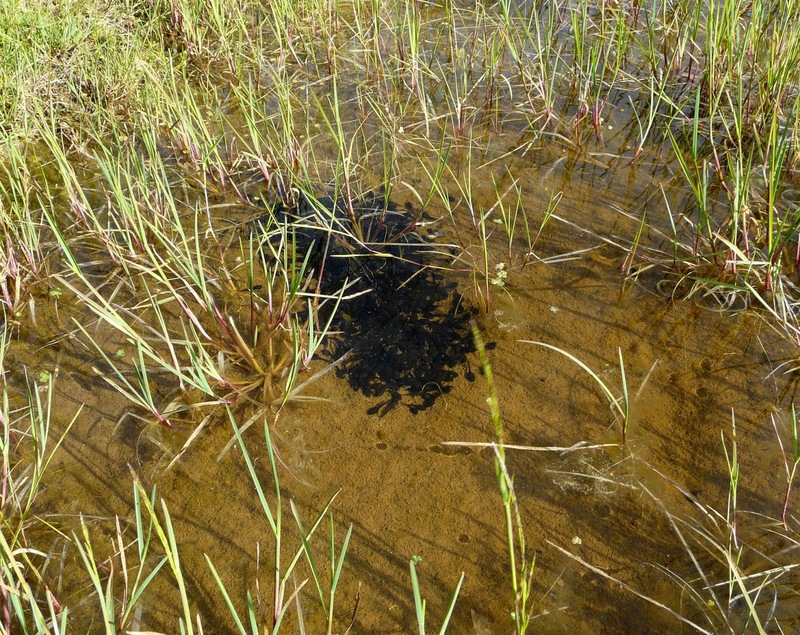 In the first pond there are fairly simple quantitative methods that will tell you that tadpoles have a clumped distribution, whilst in the second pond that they are more or less evenly scattered about. 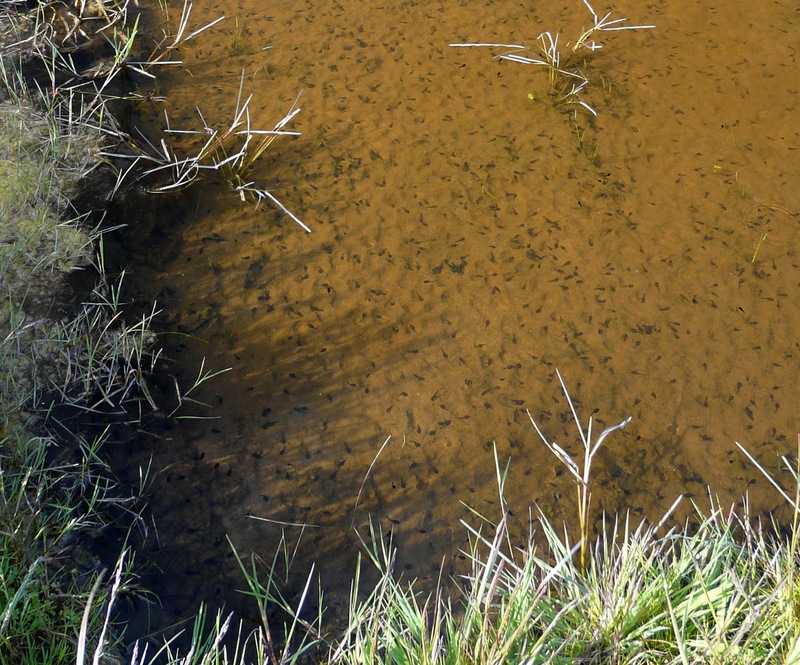 The trouble is that the perfectly clear maths makes no sense overall because the tadpoles are doing different things in different ponds, or not turning up at all in the third pond. I doubt that the Large Hadron Collider, turned back on again today to crack even more secrets of fundamental particles, could help unravel the problem of the mathematically inconsistent tadpoles. Tadpole uncertainty may not have the ring of quantum uncertainty or the fame of Schrödinger’s cat as a conundrum but they are a lovely mystery right on our doors step, just over a wall from the dune road.